Glassons is New Zealand's favourite women's fashion store, and has identified an opportunity for growth in the Australian market. Glassons is renowned for its fast fashion, vibrant stores, and winning value. 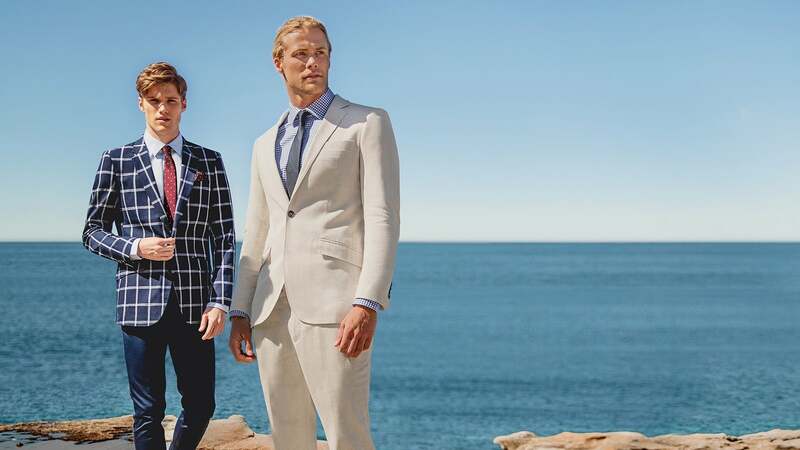 Hallenstein Brothers is New Zealand's iconic menswear store. Recognised for its fashion and value equation, generations of New Zealand's males have been loyal customers. Stores are located in most metropolitan areas throughout New Zealand. Hallenstein Glasson Holdings Limited is a retailer of menswear and womenswear, listed on the New Zealand Stock Exchange. The company operates in excess of 120 stores, with 35 stores in Australia. Hallenstein Glasson Holdings Limited was formed in 1985 on the merger of Hallenstein Brothers - an iconic menswear retailer first established in 1873, and Glassons - a fast fashion retailer founded in the early 1900's. Hallenstein Glasson is recognised as New Zealand's leading specialty retailer, and is now making an impact in the Australian market.